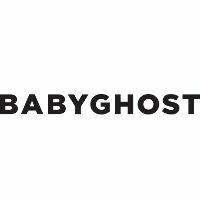 Fashion brand Babyghost has partnered with Chinese blockchain-as-a-service company BitSE and its VeChain project to deliver a range of clothes incorporating NFC tags and verified using blockchain technology. Demonstrating the development of fashion technology, or FashTech, VeChain chips have been added to items making up Babyghost’s 2017 spring and summer collection, unveiled at the recent Shanghai Fashion Week. A customer using an NFC-enabled device with the VeChain app installed can tap the chip and receive information about the item, as well as details of who modelled the item at its launch during fashion shows. Meanwhile, the blockchain technology — focussing on anti-counterfeiting, supply chain management, asset management and client experiences — allows anyone connected to the platform to track, trace and verify the product. “Blockchain has become a disruptive technology, but it is really difficult for most people to understand. A lot of enterprises have been attracted to blockchain technology, and the real motivation for them is to develop the new products, features and services for their clients by embracing this technology,” says Sunny Lu, COO of BitSE. NFC is being used by a range of different industries to authenticate products along the supply chain. In June, owners of handbags from Maria&Donato’s exclusive collection were able to authenticate their purchase as well as discover information about the brand and buy limited-edition handbags online with a tap of their NFC device. The Geantet-Pansiot vineyard estate in Burgundy, France, meanwhile, began equipping all of its wine bottles with NFC tags to let customers authenticate the beverage and receive information about the wine directly on their smartphone.